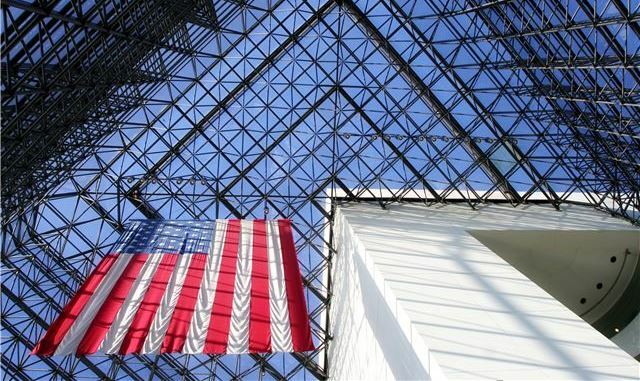 There’s no excuse to not head to the JFK Presidential Library and Museum this week, as it is Free Friday on July 29 thanks to the Highland Street Foundation! Created to increase accessibility and cultural enrichment opportunities for children and families in Massachusetts, the Highland Street Foundation offers free admission to some of the best museums across the state all summer long. Located in Dorchester’s Columbia Point, the JFK Presidential Library and Museum houses both the original papers and correspondence of the Kennedy administration. Seven permanent exhibits beckon visitors to explore Camelot and the Kennedy White House through such times as the Space Race and American Civil Rights Movement. The museum’s current exhibition, “Ernest Hemingway: Between Two Wars,” is the first ever large scale dedication to the author’s work and life and features drafts of his major works, correspondence with other expat writers in 1920s Paris, and a selection of his personal belongings. The museum is accessible via MBTA. From Seaport’s adjacent World Trade Center station, hop on the Silver Line to South Station. Transfer to the Red Line at South Station and head to JFK/UMass. From there, follows signs to the Busway/JFK Library. Board “Bus 2”—a free shuttle that runs every 20 minutes from the station to the JFK Library and Museum. Please note: the shuttle stops at UMass and the Massachusetts State Archives before arriving at the JFK Library!